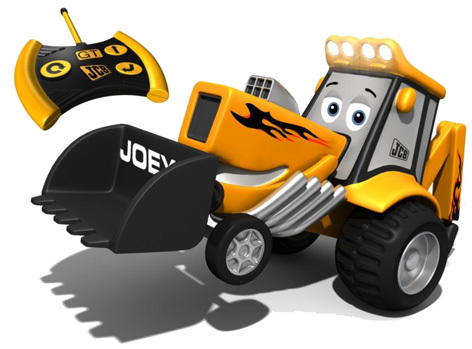 With Golden Bear enjoying huge success with their JCB collection of toys, the launch of Remote Control Joey GT was met with great enthusiasm by all fans of this iconic British company. Taking its design style from the amazing and real JCB GT Dragster Digger, this model may not do 100mph, but it has a good go! Suitable for kids aged 2 and over, the simple to use hand controller makes it a doddle for this younger age group to get involved. The working roof mounted racing lights and incredible sound effects add to the excitement when performing wheelies. JCB Remote Control Joey GT can also be put in reverse as well as made to perform incredible donut style spins! Please tell us what you think of the Remote Control Joey GT by My 1st JCB and Golden Bear.